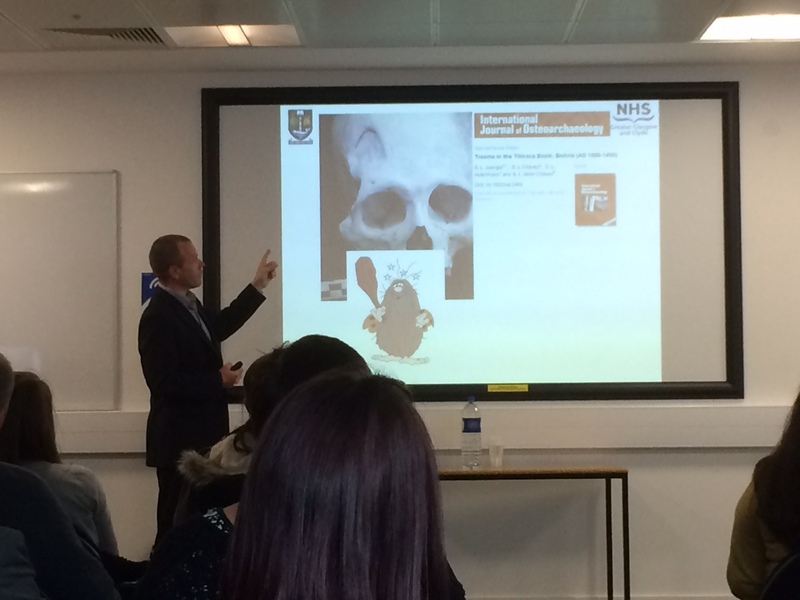 An audience of around 30 attended this seminar held on Thursday 5th May 2016 at the University of Dundee. 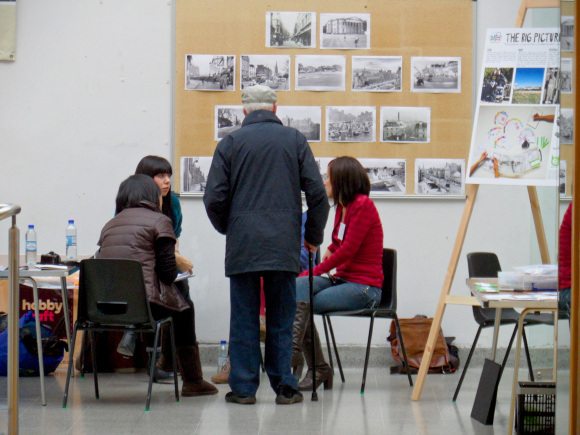 The seminar consisted of short presentations by artists and their collaborators exploring the innovative work with people with profound learning disabilities on the Artlink Ideas Team. 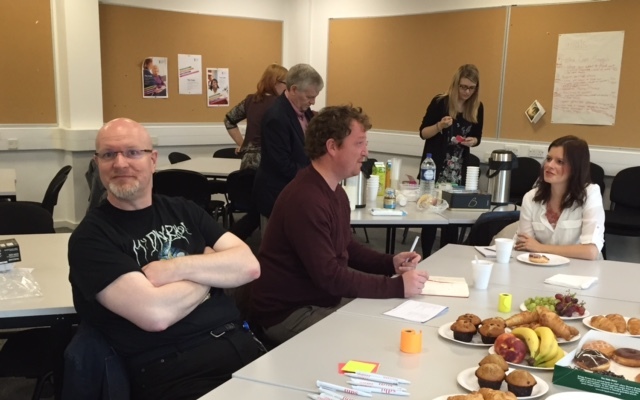 The talks explored some of the approaches emerging from one to one work with people with high support needs, the impact of the work on the individual and their care structures and its wider relevance to understanding and supporting people with learning disabilites. On the 9th October, we ‘experimented’ with a new format. Nine academics, health professionals, and representatives for non-governmental organisations engaged in an intensive breakfast roundtable discussion lasting 2.5 hours on the social dimensions of addiction. The discussion included the president of the International Society of Addiction Medicine (ISAM), Dr Gregory Bunt, New York University (NYU) School of Medicine. The discussion was added to a very successful four day ISAM conference in Dundee, that had been chaired by Dr Alex Baldacchino who will shortly take up a Chair in Addiction Medicine and Psychiatry at the University of St Andrews and join the SDHI Management Team as a new Associate Director. The discussion revealed new frontiers of addiction, examined the complexity of multiple factors of social marginalisation and explored opportunities for translational research. A briefing report will be available shortly. SDHI will be continue to explore applied interdisciplinary research avenues between social science, mental health and addiction medicine. 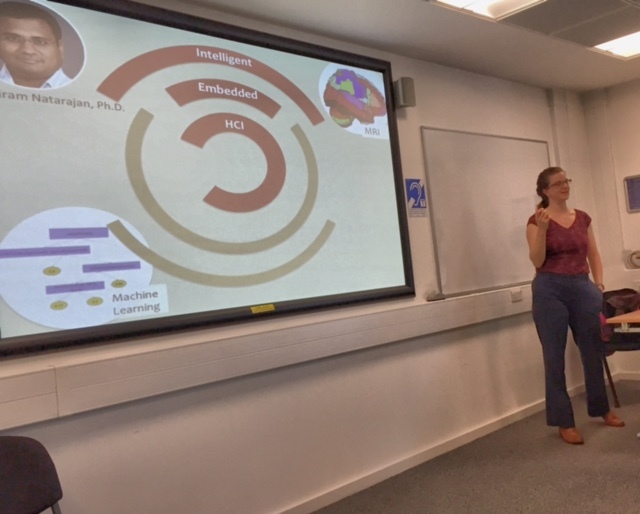 Dr Katie Siek, Associate Professor for Informatics at Indiana University in Bloomington presented a very inspiring seminar on Wednesday 26th August which was co-hosted between Duncan and Jordanstone College of Art and Design (DJCAD) and SDHI and chaired by Dr Wendy Moncur. If you missed the opportunity to attend the seminar or wish to listen again we are pleased to provide you with an audiopodcast of the event. SDHI in collaboration with NHS Fife, the Scottish Improvement Science Collaborating Centre (SISCC) and the International Futures Forum (IFF) hosted an interprofessional and interdisciplinary seminar and workshop with 20 participants to envision the future of a healthcare system currently under strain. Dr Margaret Hannah, Consultant and Deputy Director of Public Health in the NHS Fife and author of ‘Humanising Healthcare: Patterns of Hope for a System under Strain’ and Graham Leicester, Director of the International Futures Forum (IFF) faciliated the afternoon with SDHI Co-Director Thilo Kroll. Healthcare systems are under ever increasing performance pressures and exposed to massive rises in expenditures. At the same time criticism of the way we deliver health care grows highlighting the lack of compassion and a detachment of people’s life priorities and choices. Inequalities in health care access, treatment use and outcomes are not being tackled adequately. The research that supposedly generates the evidence base for effective therapies and interventions is selective, exclusionary, de-contextualised and for many long-term conditions flawed. Faced with a growing number of people who manage not one but multiple long-term conditions outside institutions in diverse community settings health care systems lack co-ordinted, integrated quality practice models that are centred around people’s lives and not primary their health conditions. Margaret Hannah describes in her book the way our current healthcare arrangements are costly, guideline driven and dis-ease and disorder focused. Hope lies in adopting a salutogenic, asset-based approach that works with (not for) individuals and communities as co-creators of health. The workshop identified opportunities for transformational change in the way we deliver healthcare through co-creation approaches and participatory action research. It also requires the collaboration with non-traditional partners in health, i.e. community organisations, local authorities. We are currently working on a briefing paper based on the workshop, which we will make available for reflection and discussion shortly. Jean Cathro and Judith Drake of the Social Enterprise ‘Crossing Countries’ presented on their 2014 trip to South Africa providing disabled students with opportunities for volunteering and both South African and Scottish partners with many valuable experiences that truly challenged boundaries. The first part of the seminar presentation is now available as a video. 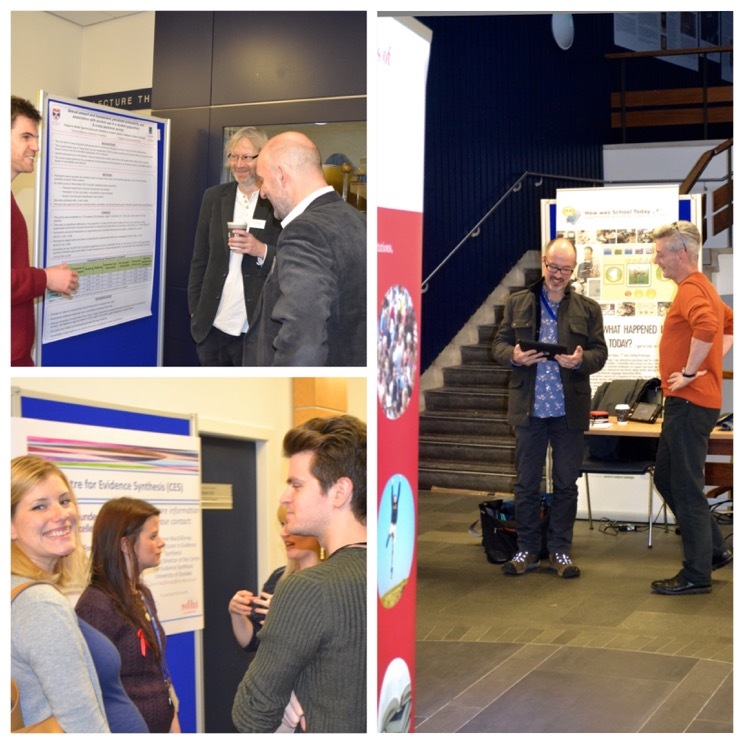 We were pleased to see so many colleagues, students and friends join us at our recent Research Showcase and Fair in St Andrews. 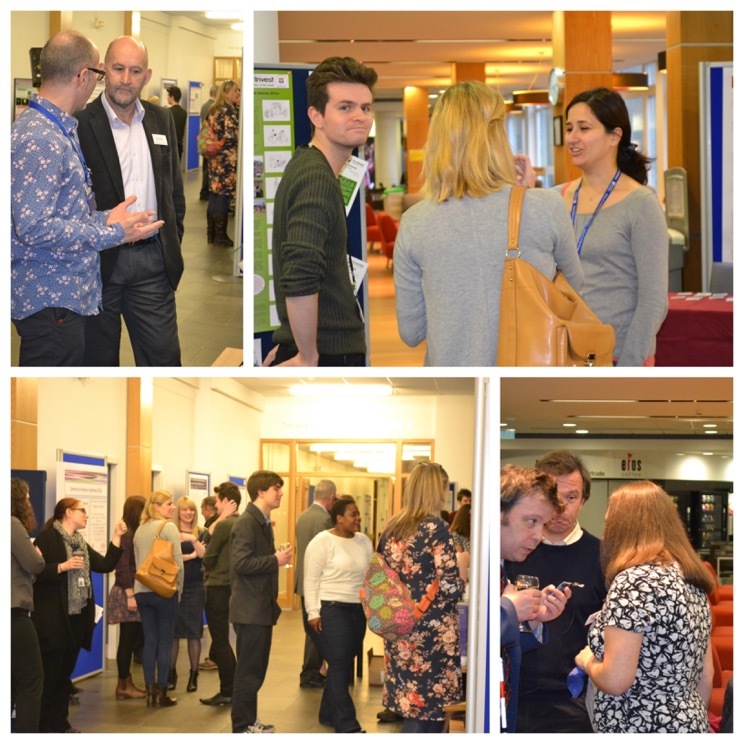 The event marked a cross-section of current and recent research and activities that SDHI affiliated researchers have been involved in and also created opportunities for cross-disciplinary and inter-university discussions. For 11 years SDHI has been working with NHS colleagues and NGOs and the business sector to generate high quality research of impact. The day also generated refreshed impetus to work across institutional and disciplinary boundaries in the future and to ‘connect to transform lives’ locally and globally in line with SDHI’s current strategy. We are pleased to make available the video recording of Dr Fernando Fernandes SDHI Seminar presentation ‘The production of socio-symbolic marginality and the politics of disposability. Challenges for professionals working with marginalised groups’ This seminar was held on Thursday 4th December. Dr Wendy Moncur, Reader in Socio-Digital Interaction, Duncan of Jordanstone College of Art & Design, University of Dundee presented a seminar entitled ‘Providing adaptive health updates across the personal social network‘ on Thursday 13th November. The video recording of Wendy’s presentation is available now. On the 29th of September, Dr Karen O’Connell, UTS Sydney, Faculty of Law gave a very interesting presentation on discrimination of children with challenging behaviour disability law. A video of this presentation is now available. In her presentation on the 19th June 2014, Dr Andrea Rodriguez explored the life experiences of young gang members in Rio de Janeiro who had been involved in drug trafficking. She highlighted the challenges they were facing when attempting to make the transition into a life without crime. Moreover, she laid out some strategies to facilitate the transition. 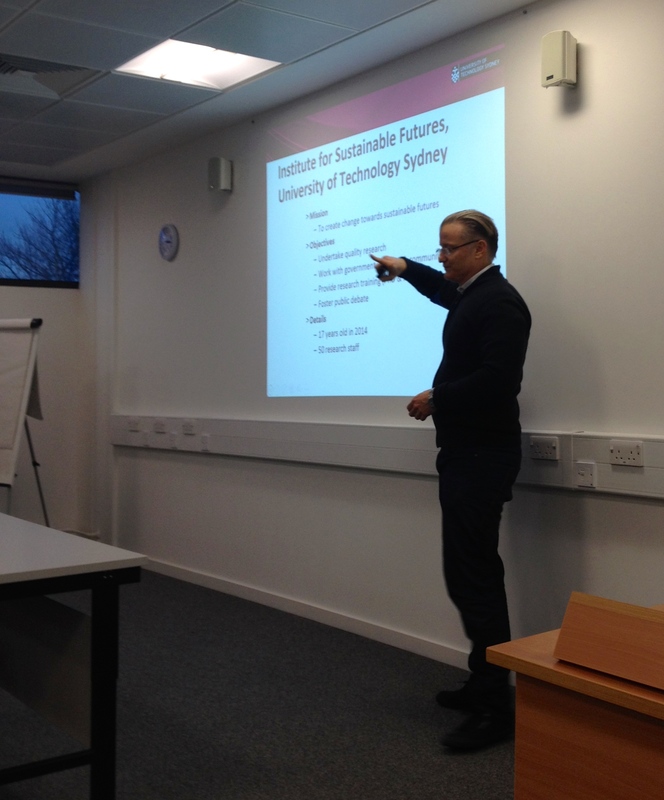 The seminar was introduced by Dr Fernando Fernandes, SDHI. On Tuesday 11th March 2014, Fiona Stephenson, Clinical Nurse Specialist and founding member of the Haiti Spinal Cord Injury Working Group and Co-ordinator of the Haiti Spinal Cord Injury (SCI) Database presented an inspiring and insightful webinar on the context of violence as the leading cause of spinal cord injuries in Haiti. Fiona, who is also a Co-Founder of the International Network of Spinal Cord Injury Nurses and the International Spinal Cord Society (ISCoS), discussed in her webinar the challenges to providing basic life sustaining care and rehabilitation for gunshot injury survivors in a resource poor environment. Mortality and medical complications are extremely high, skill and extensive despite the great skill, creative mindsets and phenomenal willpower of the health care teams on the ground. The earthquake that shattered Haiti in 2010 has taken a further toll on a very rudimentary health care infrastructure. Gun violence is not abating. Despite much innovation and legislative changes, people who live with the disabling consequences of violence still find it difficult to find support, accessible environments and opportunities for full societal participation and inclusion. Many promising facilities are threatened by closure due to a lack of funding. But despite all adversity, there were many stories of hope, human spirit and resilience, of people pulling together and becoming advocates for their own life, against gun violence and for better support services and health care. Fiona’s webinar presentation can be viewed here. We will add an audiopodcast shortly. Dr Damien Williams, School of Medicine, University of St Andrews gave a very nuanced and greatly reflective response to Fiona Stephenson’s presentation. If you would like to learn more about gun violence in Haiti and its disabling consequences, we recommend to purchase the book ‘Gun Violence, Disability and Recovery’, edited by Cate Buchanan, Director of the Surviving Gun Violence Project. The book is available as an ebook or paperback on the organisation’s website. On Thursday 6th March 2014, Emma Burnett, Lecturer in the School of Nursing & Midwifery at the University of Dundee presented a very informative Webinar on how to use social media in research. Emma is currently a PhD student and has made use of the numerous opportunities that Twitter for example present for PhD students to network, provide social support and share information and resources. Emma also spoke about how social media can be used to disseminate research findings to broad and targeted audiences for impact. Social media are here to stay and it is useful to reflect about how to engage with these technologies in a meaningful and safe way. If you have missed Emma’s talk, you can listen to it here on our website. You have the choice between an audio podcast https://sdhi.files.wordpress.com/2014/03/sdhi-podcast-emma-burnett.mp3 and the webinar that includes the full slide presentation (available shortly). For streaming of the recording, click here. We are working towards improving the audio quality. So apologies if this is not great. On Tuesday 17th December, Lia Poeder, visiting Occupational Therapy researcher from the United States presented findings from an exploratory study on community access, public transport and participation as part of an SDHI seminar. The recording (apologies for some sound problems which resulted from construction activity in adjacent rooms) and the slide presentation are now available. The study embraces a socio-relational understanding of disabled access. Built-environment accessibility is crucial. However, making sure that buildings and transportation options are physically accessible is not enough. The ‘human factor’ is of equal if not greater importance to ensure that people with disabilities can actually use public transportation in a purposeful and safe way. You can watch the video recording of the seminar here. On Thursday the 28th of November, Dr Suzanne Grant, Social Anthropologist and Lecturer in Population Health Science at the University of Dundee presented her Webinar ‘Spatial Dimensions of Repeat Prescribing Safety in UK General Practice: An Ethnographic Study’. To view the recording of Suzanne’s Webinar click here. 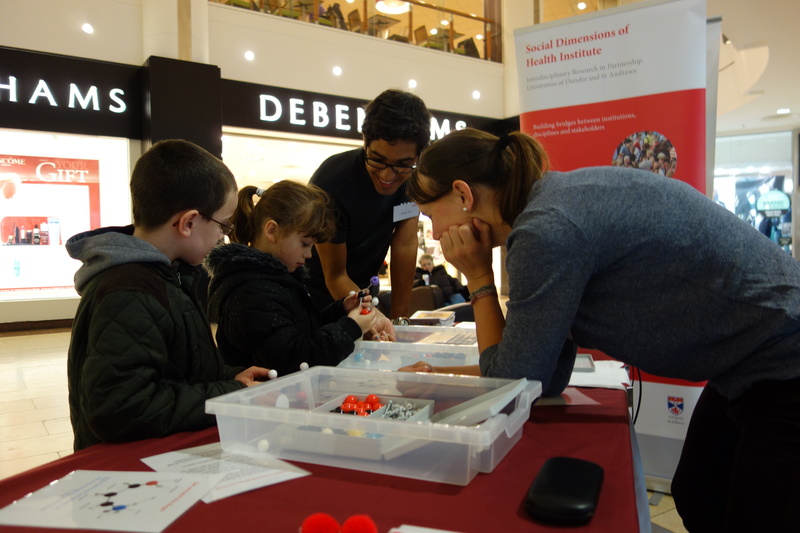 SDHI had a successful day in the Overgate shopping center in Dundee on November 2nd We set up stall for 9.00 am and entertained the public with puzzles about multidisciplinary working and some of our research projects through until 6.00pm. We were joined GoSHARE who were recruiting people for their database. We estimate that around 200 people visited the stalls throughout the day. SDHI was supported by Lia Poeder and Bradley Grier from North Carolina and Peter Rome from the School of Nursing and Midwifery at the University of Dundee. We were funded by the Economic and social Research Council as part of the ESRC’s Festival of Social Science and the event was also part of Dundee Science Festival. 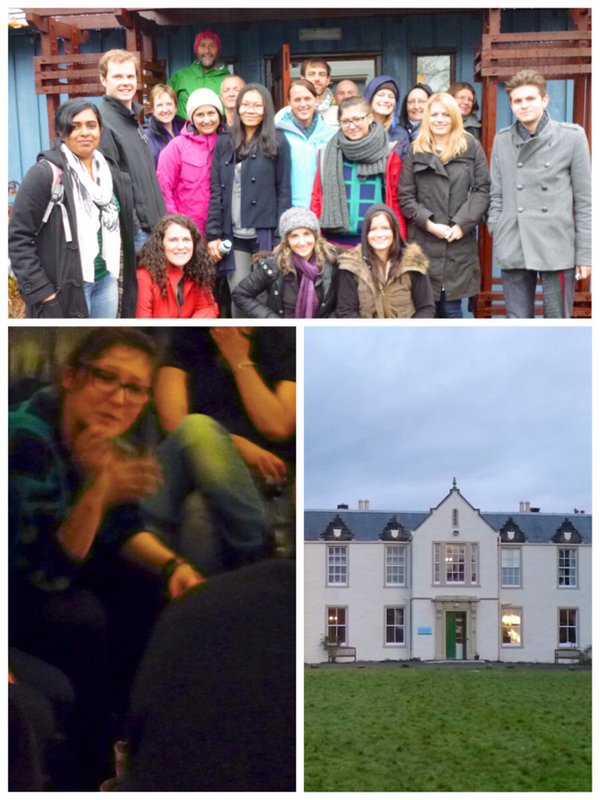 After a hiatus of two years SDHI held its annual retreat for postgraduate students and early career researchers in Kindrogan on October 30-31 again. A diverse group of students and staff from many disciplines from St Andrews and Dundee discussed – in a relaxed and friendly atmosphere – what it means to undertake a PhD, how to address challenging methodological questions, career pathways, how to write for publication and how to maximise impact of research. Students and researchers presented their work and stimulated debate and constructive feedback. We feel encouraged by the positive feedback to continue with these workshops in the following years. For a personal reflection on the retreat, please visit this blog entry. This workshop, part of an NIHR Health Services and Delivery Research programme-funded research project on approaches to knowledge mobilisation (KM) in health care, was held in London on Tuesday 25th June 2013. 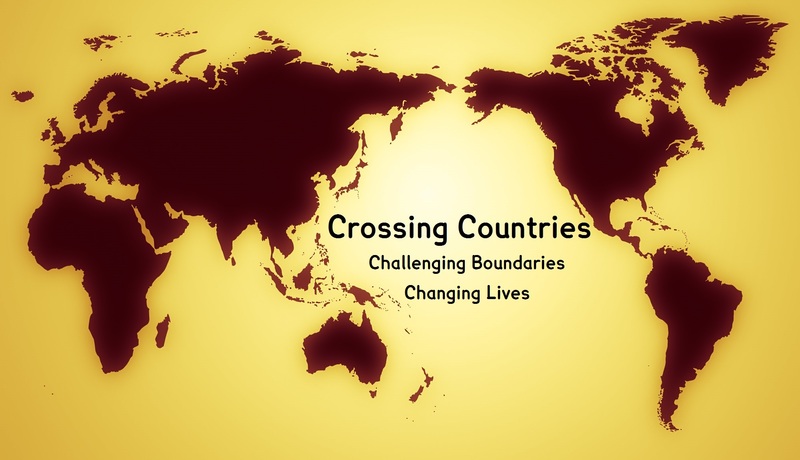 The project seeks to promote cross-sector and cross-country learning. To do this it is mapping the KM strategies currently used by prominent research funders, research producers and research intermediaries in health care, social care and education. It is teasing out the models and theories that underpin these strategies. It is also exploring what is known about their success or otherwise. More information about the project can be found here. The aim of the workshop was to share emerging findings with key stakeholders in NHS research. Participants considered the best ways to ensure that the study findings can be used to improve KM strategies and ultimately health services through presentations, discussion and debate. 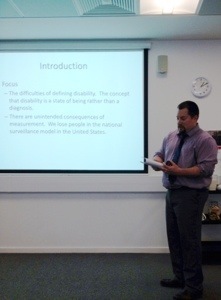 ‘Disability Surveillance using National Household Surveys in the United States: Where have we been and where are we going?’, Eric Lauer, Research Specialist, Institute on Disability, University of New Hampshire, United States presented the above seminar on Monday 25th March. A recording of this seminar will be available shortly. ‘Secondary datasets in disability and health: tools for researchers using United States datasets’ Arun Karpur and William Erickson, Cornell University, New York presented the above SDHI Webinar on Thursday 6th December. A recording of this webinar is now available on line or to download. As part of the Economic and Social Research Council Festival of Social Science and Dundee Science Festival, SDHI once again hosted a day of public engagement ‘Taking control of wellbeing and social participation’ on Saturday the 3rd of November from 10am to 3pm in Dundee Central Library, Wellgate Shopping Centre. 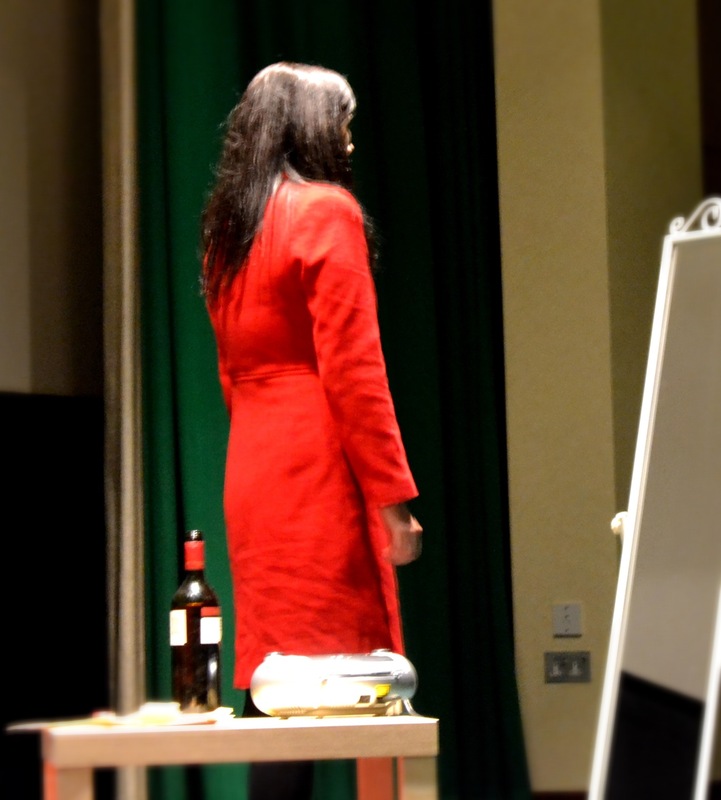 Acceptance is Lisa’s first one woman play. Based on true stories, follows the story of Scarlet, 30, who since the age of 15 has spent her life trying to fit in and be liked and loved by others – friends, family and men. Pressured by her need to be popular and fit into her surroundings she finds the easiest way to make herself feel confident, strong, chatty and liked is to go out and have a drink. Wasteland is a short film written & directed by Lisa Nicoll. It is based on research carried out with teenagers in the Coatbridge Locality. 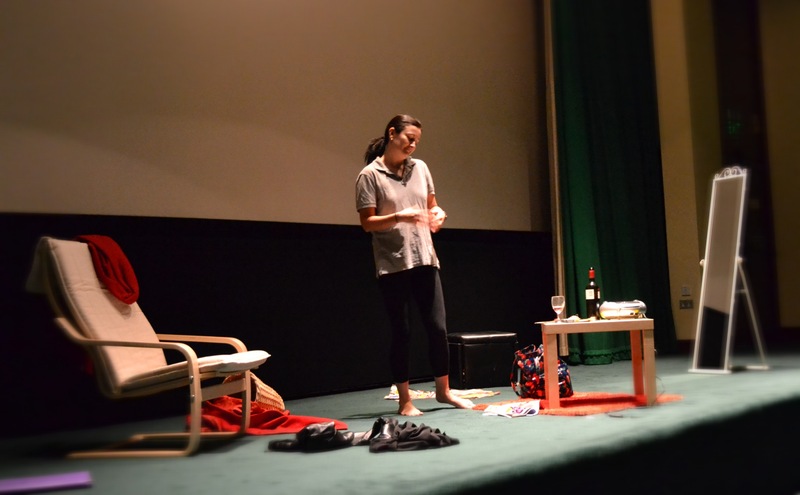 Over a series of 7 weeks Lisa gained stories about what it is like to live in the area as a teenager, she then brought all the stories together and wrote the short drama script Wasteland. ‘Health professionals’ beliefs about domestic abuse and the issue of Disclosure’ Dr Caroline Bradbury-Jones, School of Nursing & Midwifery and Professor Julie Taylor, School of Nursing & Midwifery and Head of Strategy and Development (Physical Abuse in High Risk Families) NSPCC presented the above SDHI Webinar on Monday 15th October. This webinar can now be viewed here Please note, in order to view it you would need a Java enabled web browser. Some mobile devices are not enabled at this time. Please continue the discussion by emailing us at SDHI @dundee.ac.uk. The video stream of the presentation is now available for viewing. 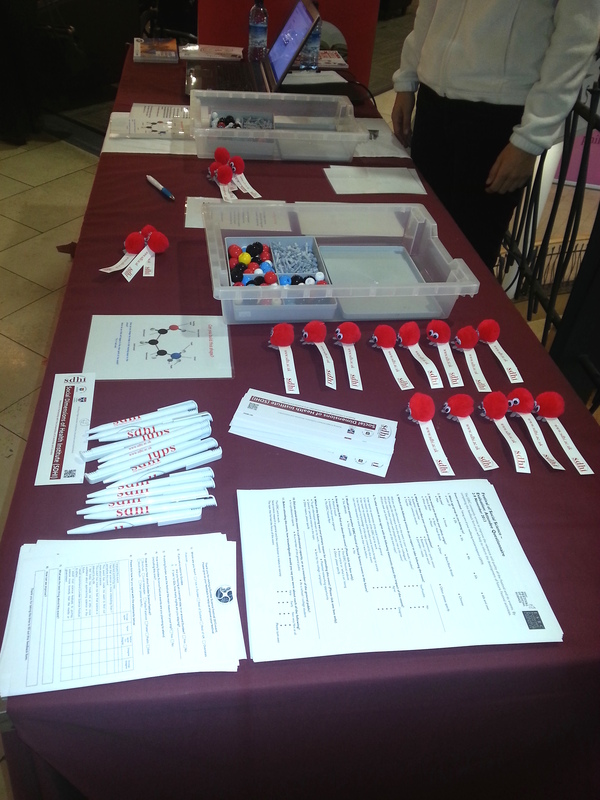 SDHI was present at the recent “Meet the Scientist” event in the Dundee Science Center. 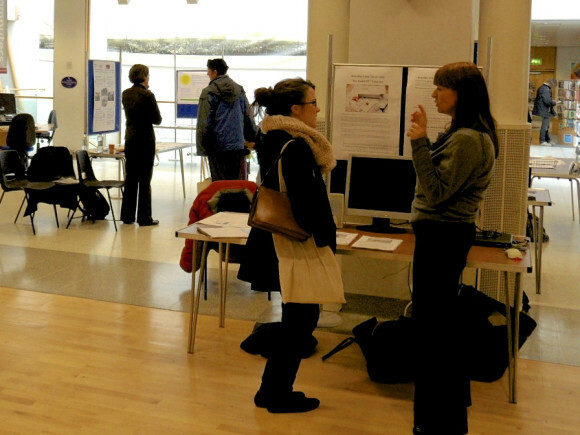 The event allowed school children and the public to meet and discuss some of the scientific work taking place in The Universities of Dundee, St Andrews and Abertay. SDHI asked people to prioritise what they value about health care apart from their health.